Removing makeup can be a real hassle and sometimes it’s just not convenient to us a cleanser. This is where Younique Shine Makeup Remover Cloths come in so handy. These are so powerful they can remove permanent marker, yet so gentle they actually moisturize and condition your skin as they remove the makeup. They take off waterproof mascara too so they are a perfect companion to the Younique 3D Fiber Lashes. 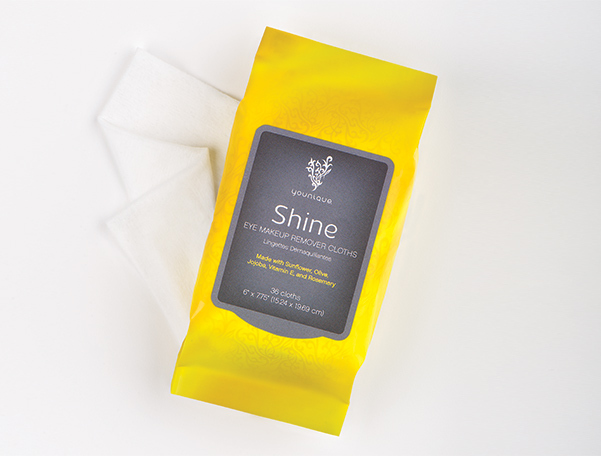 This wonder pack contains 36 cloths made with sunflower and olive oils, jojoba, vitamin E, and rosemary making Shine more than a makeup remover; it’s a nourishing treat for your skin.